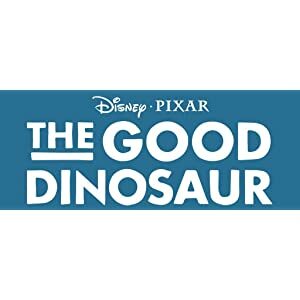 Home › "The Good Dinosaur Small Figure, Vivian"
"The Good Dinosaur Small Figure, Vivian"
In The Good Dinosaur, the asteroid misses Earth and dinosaurs never become extinct, but rather continue to live and evolve. 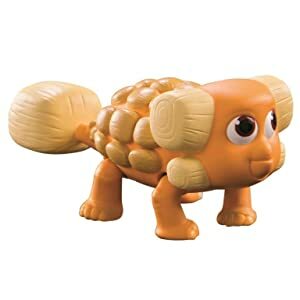 Vivian the Ankylosaurus Figure is poseable and comes with a small gopher, a perfect play pal for dinosaurs to chase around. This collectible critter can also attach to Forrest Woodbush's horns (Forrest Woodbush figure sold separately). Includes collectible gopher for even more fun! What if the asteroid that forever changed life on Earth missed the planet completely and giant dinosaurs never became extinct? The Good Dinosaur is an extraordinary journey of self-discovery full of thrilling adventure, hilarious characters and poignant heart. Vivian the Ankylosaurus Figure is 2-inch tall. She is poseable and has moveable mouth, legs and neck. 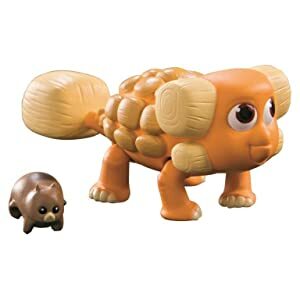 Vivian the Ankylosaurus Figure comes with a small gopher figure – perfect for the young Ankylosaurus to chase around. 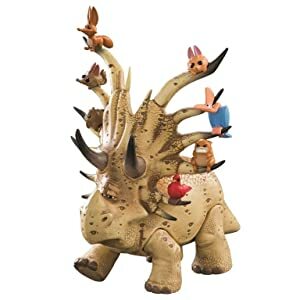 Forrest Woodbush (figure sold separately) is a mysterious Styracosaurus who blends into the leaves and brush. His horns are covered with a collection of various tiny forest critters who protect him. Collect all of the figures and large figures and their critters to complete Forrest Woodbush’s collection.